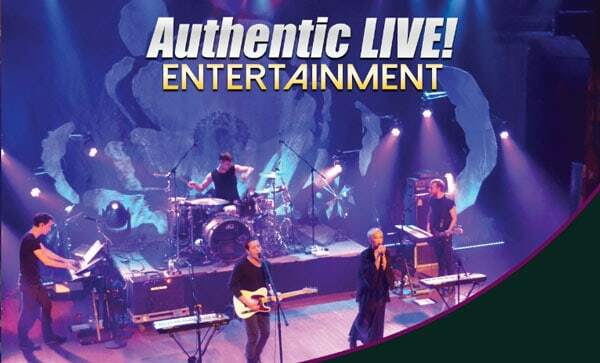 Authentic Live Entertainment - Watch live while you play at the tables. 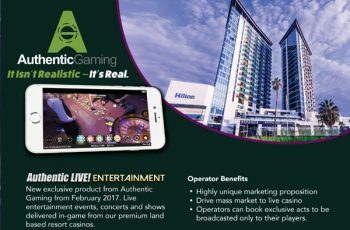 Authentic Gaming has launched something completely new for the live casino industry, “Authentic Live Entertainment”. 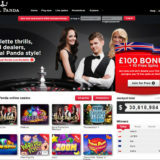 The new development takes the interactive experience one step further by giving online live players a stage side seat for real time live entertainment. Live Entertainment from land-based casino floors can be broadcast inside Authentic Roulette mobile, tablet and desktop games. This will give a truly immersive playing experience. 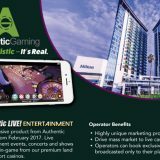 Operators will be able to book Acts that will only be broadcast to their players. 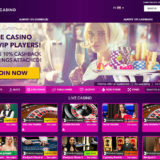 The shows will appear inside the games, so you’ll be able to watch as you play. 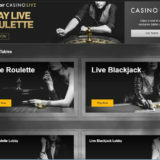 Live Casino is the fastest growing segment of online casino and to a large extent we see further growth coming from a more casual player segment. 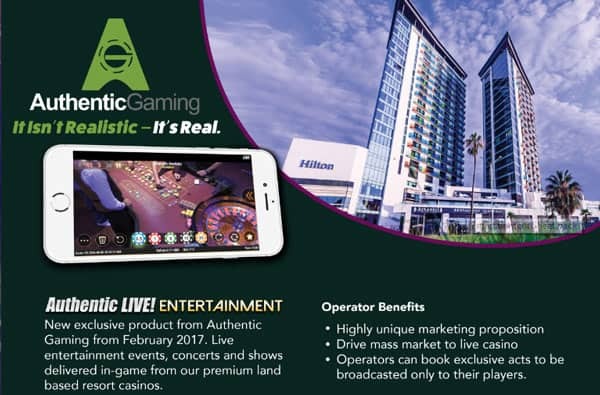 We believe this type of “entertainment” will enable operators to effectively market live casino to mass market. This is certainly a first for the industry. It will be interesting to see how this impacts the playing experience.